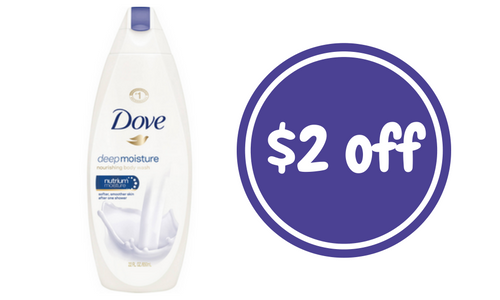 Home > Printable Coupons > Personal Care Coupons > New Dove Coupon | $5 Moneymaker! New Dove Coupon | $5 Moneymaker! Heads up Publix and Target shoppers, there is a new Dove coupon out today that makes for some super fun deals! When you pair in today’s new coupon at Publix with Ibotta, SavingStar and Checkout 51 offers, you can get Free bar soap and body wash, plus a $5 profit! If you can’t make it to Publix or want to double your deals, head to Target and get (4) body wash products for 49¢ each. like getting each for 49¢!